Tony Award-winning Broadway legend BETTY BUCKLEY will release her inspiring and emotionally-compelling new live album Hope – a profound mix of Americana, pop, rock and standards – from Palmetto Records in physical, digital and streaming formats on Friday, June 8. Buckley will celebrate the album at Joe’s Pub at the Public in New York with an exclusive four-concert engagement from June 5 to 9. Buckley will also offer a Five Day Performance Workshop at New York’s T. Schreiber Studio from June 2 to 8. To pre-order the album, purchase tickets for Joe’s Pub, and for info on the workshop, please visit www.BettyBuckley.com. 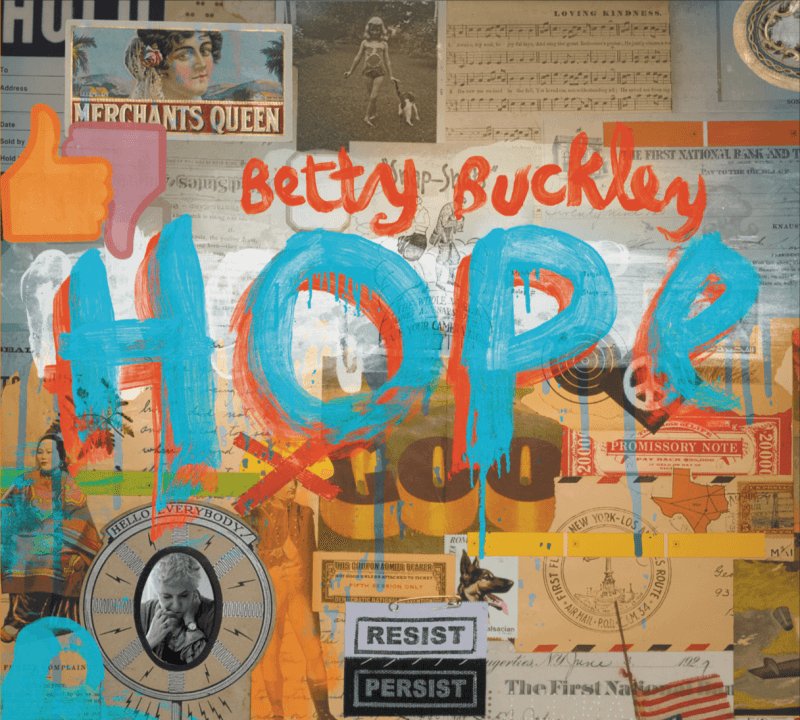 Hope, Buckley’s eighteenth album, features her quartet of musicians including the renowned multi-Grammy-nominated Christian Jacob, Buckley’s long-term Pianist, Arranger and Music Director; Oz Noy on guitar; Tony Marino on bass; and Dan Rieser on drums. The Tony Award-winning composer and lyricist Jason Robert Brown – who also contributed three songs to Buckley’s previous album, the two-disc Story Songs – provided the album’s reflective title song, which serves as a thematic centerpiece to the recording. Other highlights include two numbers from the seminal jazz-rock fusion group Steely Dan, including the wry “Any Major Dude Will Tell You” and the scintillating rock groove of “Don’t Take Me Alive.” Several selections originate from Buckley’s favorite singer/songwriters. “Falling In Love” is a plaintive ballad by Grammy Award-winner Lisa Loeb, while the noir-inspired deep cut “Shades of Scarlett Conquering” comes from the iconic Joni Mitchell. The joyously rollicking “I Feel Lucky” from Mary Chapin Carpenter bristles with life. Buckley’s childhood friend and collaborator T Bone Burnett provided three compositions from the album, including the haunting “My Least Favorite Life,” which he wrote withRosanne Cash and Lera Lynn for the HBO Series “True Detective.” And true to her love of the great standards, the album features two timeless classics, sensitive interpretations of the Jerome Kern and Ira Gershwin gem “Long Ago and Far Away” and “Young At Heart” by Johnny Richards and Carolyn Leigh. 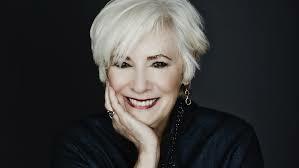 BETTY BUCKLEY, in an award-winning career that has encompassed TV, film, stage and concert work around the globe, is probably best known as one of theater’s most respected and legendary leading ladies. She won a Tony Award for her performance as Grizabella, the Glamour Cat, in Andrew Lloyd Webber’s Cats. Buckley received her second Tony Award nomination for Best Actress in a musical for her performance as Hesione in Triumph of Love, and an Olivier Award nomination for her critically-acclaimed interpretation of Norma Desmond in the London production of Andrew Lloyd Webber’s Sunset Boulevard, which she repeated to more rave reviews on Broadway. She is a 2012 Theatre Hall of Fame inductee. Her other Broadway credits include 1776, Pippin, Song and Dance, The Mystery of Edwin Drood, and Carrie. Off-Broadway credits include the world premiere of Horton Foote’s The Old Friends for which she received a Drama Desk Nomination in 2014, White’s Lies, Lincoln Center’s Elegies, the original NYSF production of Edwin Drood, The Eros Trilogy, Juno’s Swansand I’m Getting My Act Together and Taking it on the Road. Regional credits include The Perfectionist, Gypsy, The Threepenny Opera, Camino Real, Buffalo Gal, Arsenic and Old Lace,The Old Friends at Houston’s Alley Theatre and Grey Gardens at the Bay Street Theatre in Sag Harbor, NY and The Ahmanson Theater in Los Angeles. In London she starred in Promises, Promises for which she was nominated for an Evening Standard Award and in 2013 the British premiere of Dear World.